But not so fast, Speedy Gonzalez, it’s great that you’re enjoying metabolism-boosting foods, but diet and exercise aren’t all you need for a healthy metabolism. Detoxing, exercise, AND diet are VITAL for healthy digestion and energy levels. Let’s talk about nature’s fail-safe universal method to speeding up your metabolism and which activities can help you educate and maintain a good metabolism. 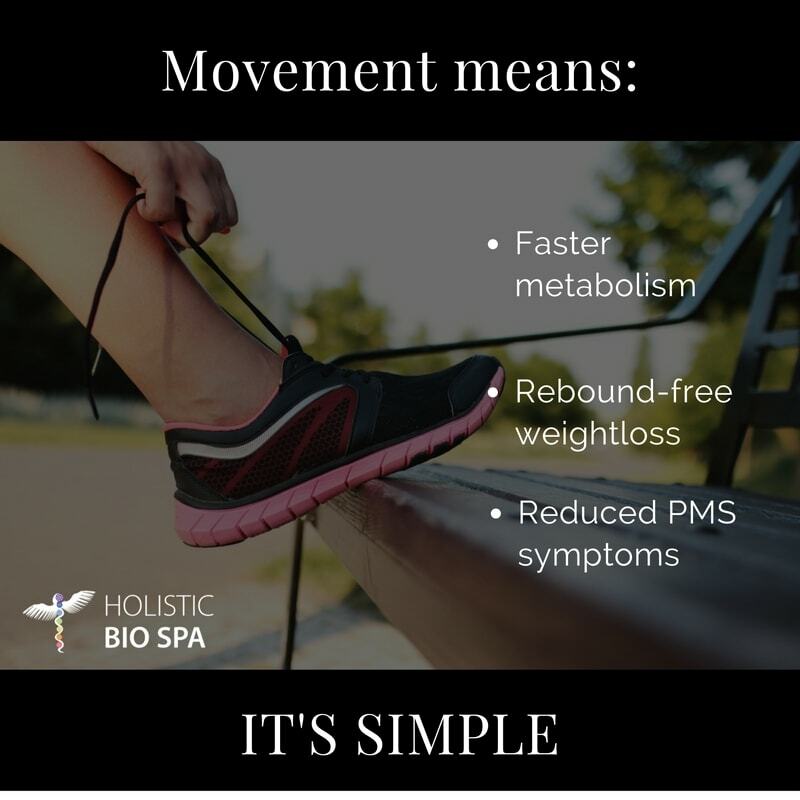 Movement is by far the best way to get your metabolism revving. It’s how we were designed, for Pete’s sake.Unfortunately, nowadays, because of high-stress lifestyles and the chemical overload we ingest from our foods, we need to clean our colons regularly in order for the metabolism and immune system to rebalance and function properly. Refocusing your attention on better food choices and whole-body wellness. A regular exercise routine and colon detoxing is the surest route to speeding up your metabolism so that it helps digests your food faster than Speedy Gonzalez. We are all affected by the force of habit and it is up to YOU to decide what type of habits you want to cultivate. By cultivating good exercise habits, you will feel & look better and everyone will notice it because even the moodswings will be gone as highlighted in this post. It doesn’t matter what type of exercise you do, what matters is that you do something to get yourself moving. A regular exercise routine is best. Remember to make slight changes to your routine once in awhile so your body doesn’t stop improving. If you work on building up some lean muscle mass with weights training, then you are guaranteed to burn more calories than just by doing cardio alone. Why? Because it raises your BMR (basal metabolic rate) to help you burn fat calories even when you’re at rest! When you do interval training, for example, if you jog for 15 minutes total, but every 2 minutes you increase your speed to a hard run for 1 minute, your body is working a lot harder, so you get a more intense workout. Get out there and create an exercise that works for you. Switch it up. Keep it fun. Get an appointment at the Holistic Bio Spa for your next detox session. Keeping the colon clean helps the system run at an optimum capacity and, maintains your metabolism leveled. Enjoy pooping every day and having more energy! Speed up your metabolism to help you be the best version of yourself and reap the lasting benefits: a faster metabolism, rebound-free weight loss, and reduced PMS symptoms. Do you know someone who would benefit from having a flexible exercise routine and a detox from stress? Share this article with them! 3 Responses to "The Undisputed Ultimate NATURAL Way to Speed Up Your Metabolism"